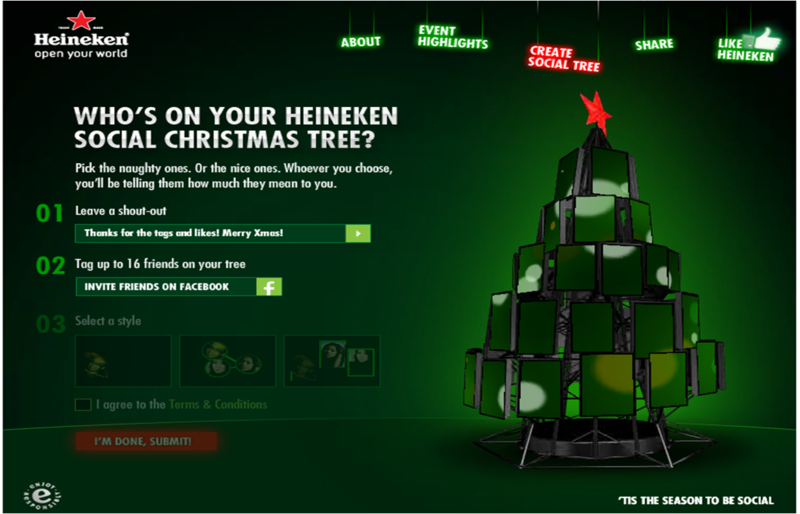 The Heineken Social Christmas tree is a Facebook app that allows users to select a Christmas message, a style and 16 Facebook friends, with everything then displayed on a sendable Facebook christmas tree graphic. 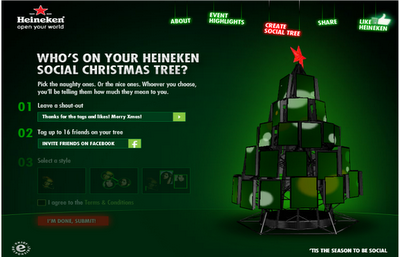 Heineken have also taken the Heineken social Christmas tree into the real world too. Between 17th Dec and 26th Dec messages will come alive on an 11 metre tall / 48 LCD screen real world social Christmas tree at Clarke Quay in Singapore. Seems like the actual tree has already been built. Looks impressive I must say.